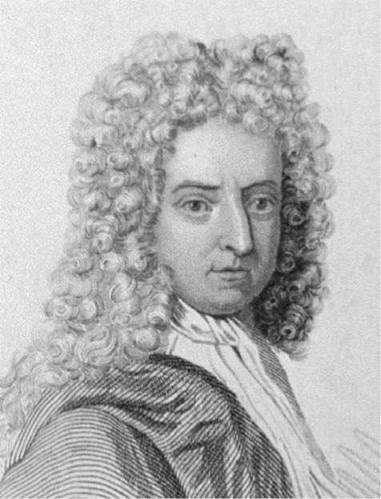 Daniel Defoe. Defoe, Daniel, drawing. The Library of Congress. Daniel Defoe has been called the father of both the novel and modern journalism. In his novels, Defoe combined elements of spiritual autobiography, allegory, and so- called ‘‘rogue biography’’ with stylistic techniques including dialogue, setting, symbolism, characterization, and, most importantly, irony to fashion some of the first realistic narratives in English fiction. With this combination, Defoe popularized the novel among a growing middle-class readership. In journalism, he pioneered the lead article, investigative reporting, advice and gossip columns, letters to the editor, human interest features, background articles, and foreign-news analysis. Persecution, Plague, and Fire. Defoe was born sometime in 1660, the youngest of three children, to James and Alice Foe in the parish of St. Giles Cripplegate, just north of the old center of London. The year 1660 also marked the restoration of the monarchy in England. King Charles I had been executed in 1649, and the British monarchy was abolished. The English king was considered head of the Anglican Church, so the execution of Charles I had religious meaning as well. England was ruled by a representative, and Puritan, government for the first time, headed by Oliver Cromwell. Defoe’s parents were Presbyterians and Cromwell supporters. Thus the return of the Royalists (supporters of Charles II) was something of a tragedy for them and others of their faith, for they were Nonconformists or Dissenters to the established Church of England. The Royalists established a series of punitive laws against Dissenters, much as the Puritans had done to Anglicans during Cromwellian times. Thus young Daniel Defoe was plagued from his earliest years by a sense of ostracism and discrimination on account of his beliefs. Little is known of Defoe’s youth, but it is highly likely that he was on some level influenced by the Great Plague of 1665, which at its peak killed one thousand people a week in London, and the Great Fire of London in 1666, which halted the plague but devastated the city. Defoe would later write of the plague, although it is doubtful whether he actually experienced it on a personal level. The Great Fire, however, certainly touched Defoe more closely, for it transformed London from a city of wood to a modern metropolis rebuilt in brick and stone. A Scholar and Businessman. When he was sixteen, Defoe attended an academy in Newington Green, north of London, operated by the Reverend Charles Morton. As Dissenters, members of the Foe family were barred from attending the elite universities at Oxford or Cambridge, but at Morton’s academy Defoe gained an enduring love of science. He also developed an ability to write with not only clarity but also ‘‘Energy,’’ as he termed it. After three years there, he set out into the world of business. Off and on for the rest of his life, Defoe would work as a businessman in England and Scotland. In his career, he sold stockings, speculated in land, expeditions, and inventions, imported goods from Continental Europe and the New World, and operated brick and tile works. He was at times successful, at others careless, and often unfortunate. By 1703, his business dealings had forced him to suffer several lawsuits, two terms in prison, and two bankruptcies. In 1684 he married Mary Tuffley, the daughter of a successful merchant. They would have seven children together (though by some accounts Mary is believed to have given birth to at least eight), yet little is known about Mary and the relationship the couple shared. Politics and Intrigue. During the 1680s and 1690s, Defoe’s activities centered on two fronts: commerce and political involvement. His far-flung business and investment ventures culminated in bankruptcy in 1692, and he was left owing his creditors the monumental sum of seventeen thousand pounds. Before this point he had already spent two terms in debtors’ prison; with bankruptcy he sought refuge in London’s Whitefriars, the site of a former monastery that remained a sanctuary where warrants could not be served. There he came into contact with thieves and prostitutes, characters who would later fill the pages of his fiction. In 1697 he published his first important work, Essay upon Projects, and four years later made his name known with his long poem The True-Born Englishman, his effort to counter a growing English xenophobia, or hatred of foreigners. This poem, which satirized the prejudices of his fellow countrymen and called the English a race of mongrels, sold more copies in a single day than any other poem in English history. It was about this time that Daniel Foe began calling himself Defoe. In 1702’s The Shortest Way with Dissenters, Defoe wrote anonymously in the voice of those who would further limit the rights of Dissenters, exaggerating their positions in an attempt to make them appear absurd. Unfortunately, Defoe’s satire was grossly misunderstood. He won scorn from both sides of the issue and was accused of seditious libel, lying to stir up rebellion against the government. Once arrested, he was forced to spend three consecutive days in the stocks, each day in a different part of London. The authorities thought that such a punishment might lead to death for the headstrong writer, as did Defoe, who attempted to mellow public sentiment against him by writing another poem, A Hymn to the Pillory. It was published on the very day he was put into the stocks; instead of stones, those who came to see his punishment threw flowers. Defoe’s time in hiding and his prison term sent his business into chaos, forcing him to declare bankruptcy for a second time. Thus, when a proposal to work for the Tories was put to him, Defoe readily agreed. His prison term was cut short on condition that he work for the Catholic monarchy, turning his considerable propaganda powers to the service of the state rather than the criticism of it. Among other duties, he spied on fellow Dissenters and others who were against the ruling government. Working for Secretary of State Robert Harley for a fee of two hundred pounds a year, Defoe founded the Review of the Affairs of France, with Observations on Transactions at Home in 1704 and continued writing it for over nine years. That the paper promoted Harley’s views—pro-Anglican, anti-Dissenter, against foreign entanglements—did not seem to bother Defoe, who had the ability to write from different perspectives. He produced the journal two to three times per week for almost a decade, laying it to rest in June of 1713. During that period he sowed the seeds for modern journalism, exploring the issues of the day through reporting and commentary while including poetry, letters to the editor, advice columns, and schedules for local events. Robinson Crusoe. Defoe’s lasting fame for most readers lies with the book that he published in 1719, The Life and Strange Surprising Adventures of Robinson Crusoe of York, Mariner, better known to modern readers simply as Robinson Crusoe. Defoe had long been developing the tools of his trade: point of view, dialogue, characterization, and a sense of scene. With Robinson Crusoe he put these together for the first time in a continuous creative product. Employing the form of a travel biography, the work tells the story of a man marooned on a Caribbean island. He quickly followed it with The Farther Adventures of Robinson Crusoe (1719) and Serious Reflections during the Life and Surprising Adventures of Robinson Crusoe (1720). Like all great creative works, Robinson Crusoe lends itself to myriad interpretations: as an allegorical representation of the British Empire, an attack on economic individualism and capitalism, a further installment in the author’s spiritual biography, and as a lightly veiled allegory of Defoe’s own life. Most importantly, however, is the fact that the novel was read widely by Defoe’s contemporaries in England. It was the first work to become popular among the middle and even lower classes, who could identify with Crusoe’s adventures. With the success of Robinson Crusoe, Defoe saw that he might turn even a better profit than he had with his poetry and pamphlets. As a result, the period 1719-1724 saw an enormous output of work. 1722—1724. In 1722, Defoe published Moll Flanders as well as Journal of the Plague Year and Colonel Jack. He was not content, however, with this achievement, but interspersed the fiction with several nonfiction books of history and social and religious manners. Another fictional biography, Moll Flanders is told by Moll herself to a rather embarrassed editor who cleans up her language. In its pages, Defoe was able to use the criminals and prostitutes he had rubbed shoulders with during his time in hiding and in jail. A Journal of the Plague Year is a historical novel set during the London Plague of 1665 and 1666. The novel is narrated by one ‘‘H. F.,’’ a man likely modeled on Defoe’s own uncle, Henry Foe. Colonel Jack, another biographical novel, is set in the underworld of thieves and pickpockets, and traces Jack’s fortunes as he tries to succeed through honest work. A Fortunate Mistress (1724), better known as Roxana, the last of Defoe’s novels, introduces Defoe’s first introspective narrator, foreshadowing the psychological novels that would someday follow. Many critics claim Roxana to be Defoe’s most complex and artistic work, though it has not retained the same popularity as has Robinson Crusoe or Moll Flanders. Later Years. After Roxana, Defoe concentrated almost exclusively on longer nonfiction works. By the mid-1720s, his journalistic career came to an end when it was discovered that Defoe had been working as a government agent all the while, spying on other publishers. Over the years, he founded several journals, but these also had ceased publication by 1725. In 1729 legal proceedings were initiated against Defoe; with creditors on his track again, the writer once more went into hiding to avoid jail. Leaving his family behind in the suburbs, Defoe took lodgings in a section of London near where he was born, but he suffered from gout and kidney stones. Defoe died in hiding on April 26, 1731. Obituaries of the day spoke of Defoe’s varied writing abilities and his promotion of civic and religious freedom, but none mentioned that he was the author of either Robinson Crusoe or Moll Flanders. William Kidd (c. 1645-1701): Scottish sailor and pirate who allegedly left buried treasure in either Japan or the Caribbean. Louis XIV (1638-1715): French king known as the Sun King; he centralized state authority and was a patron of the arts. Catherine I (1684-1727): the first woman to rule Russia; wife and widow of Peter the Great. Sir Christopher Wren (1632-1723): English architect and astronomer; rebuilt much of London after the Great Fire, including St. Paul's Cathedral. Jonathan Swift (1667-1745): Anglo-Irish poet, political writer, and satirist; best known for Gulliver's Travels (1726) and A Modest Proposal (1729). Robinson Crusoe is a meditation on the human condition and an argument for challenging traditional notions about that condition. With this work, Defoe applied and thereby popularized modern realism. Modern realism holds that truth should be discovered at the individual level by verification of the senses. The following titles represent other modern realist works. Candide (1759), a novel by Voltaire. This novel parodies German philosopher Gottfried Leibnitz's philosophy of optimism, which states that since God created the world and God is perfect, everything in the world is ultimately perfect. Don Quixote (1605), a novel by Miguel de Cervantes. One of the great comic figures of world literature, drawn with realist and humanist techniques, Don Quixote is an idealistic but delusionary knight-errant with an illiterate but loyal squire, Sancho Panza. Peer Gynt (1867), a play by Henrik Ibsen. This play, originally a long poem, pokes fun at then-emerging trends about getting back to nature and simplicity and asks questions about the nature of identity; the main character longs for freedom in a world that demands commitment. Gulliver's Travels (1726), a novel by Jonathan Swift. A political satire in the form of an adventure, this novel examines the question of rationality being the greatest human quality, versus humankind's inborn urge to sin. Rogue Biography. Not considered quite decent in its day, Moll Flanders was nonetheless popular with the reading public. As with Charles Dickens in his novel Oliver Twist, Defoe brings the criminal element vibrantly to life within its pages. Its form is an extension of what was known as rogue biography. Naturalistic novels such as Emile Zola’s Nana (1880) and Theodore Dreiser’s Sister Carrie (1900) opened up the possibilities of a critical evaluation of Moll Flanders, just as the relaxed moral standards of the 1960s made possible the republication of John Cleland’s Fanny Hill (1749), which was influenced by Defoe’s work. Precursor to the Gothic Novel. Journal of the Plague Year developed new fictional ground that would later be taken over by the gothic novel. Defoe’s prose style conveys a sense of gripping immediacy; he frequently works with loose sentences that tend to accumulate in the manner of breathless street gossip and unpremeditated outcome, thus making his Journal a compelling work of art that possesses, as Anthony Burgess has noted, ‘‘the truth of the conscientious and scrupulous historian, but its deeper truth belongs to the creative imagination.’’ Along with Robinson Crusoe, Journal of the Plague Year formed a model for the exploitation of dramatic and sublime scenes in the novel, effects that the gothic novel would later borrow to good effect. Robinson Crusoe. Despite its popular acceptance, Robinson Crusoe received a mixed reception from scholars of Defoe’s time, who found the novel to be un-Christian in tone. Academics also attacked it for being wildly improbable. Enlightenment philosopher Jean-Jacques Rousseau was one of the first to applaud Robinson Crusoe as a highly instructive book, in 1762. Novelist Sir Walter Scott in 1827 praised Robinson Crusoe for its realism. Defoe’s stature continued to grow during the nineteenth century. His eighteenth-century reputation as a literary hack who was willing to write for any cause was replaced by a close study of his work that showed he was the equal of his contemporary Jonathan Swift and one of the fathers of the English novel. Virginia Woolf, in her Collected Essays, called Robinson Crusoe ‘‘a masterpiece,” and went on to note that ‘‘it is a masterpiece because Defoe has throughout kept consistently to his own sense of perspective.’’ Crusoe has been seen as a representative of mankind at struggle with nature, or religion, or himself. Karl Marx and others have found much to do with the economic nature of man in Crusoe’s experience on the island. Although James Joyce explored the colonialist theme of Robinson Crusoe as early as 1911, his comments were not published until 1964. Since then, writers such as Toni Morrison, Derek Walcott, and Edward Said have viewed the novel as an allegory of colonialism. Moll Flanders Most modern criticism of Moll Flanders focuses on the sense of sin and repentance in the novel. On the surface, Moll repents the sinful ways of her past, yet Defoe’s realistic tone in describing these past events seems to contradict this high moral purpose. Some critics attribute conscious irony to Defoe and maintain that Defoe was satirizing the puritanical rules of his day. On the other side of the argument are critics such as Ian Watt, who believes that if there is irony in Defoe, it is unintended. 1. Much of Defoe’s success as a journalist—and as a spy—came from being able to argue in favor of issues he did not support. How important is it to be able to argue the other side of an argument? Does it lead to a better understanding of the issues, or is it simply a sign of someone who cannot make up his or her mind? 2. Defoe worked undercover as a spy and lived in hiding or in jail for long periods of time. Do you think that changed how he saw the world? If you had to be separated from your family for a long time, how would that change you? 3. The popular TV show Survivor implies that the only way to survive is by ‘‘playing a game’’ and deceiving other people. Research Karl Marx’s ideas about capitalism. Keeping in mind that the point of Survivor is to win money, write an essay examining how Marx and Defoe would view the show. 4. Robinson Crusoe sparked interest in adventure stories set on desert islands. Research two or three adventure stories from different periods, such as Swiss Family Robinson, Treasure Island, and Lord of the Flies. Are they just exciting stories, or do they have a serious point? Write an essay discussing the point of these stories, and how that point changes over time. Backscheider, Paula R. Daniel Defoe: Ambition and Innovation. Lexington. : University Press of Kentucky, 1986. Ellis, Frank H., ed. Twentieth-Century Interpretations of Robinson Crusoe. New York: Prentice-Hall, 1969. Novak, Maximillian E. Daniel Defoe, Master of Fictions: His Life and Ideas. New York: Oxford University Press, 2001.